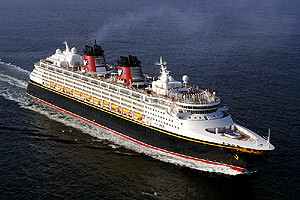 Last Friday at around 3:45am local time the Disney Magic rescued 18 people stranded on a powerless boat. On August the 6th the Disney Magic added it's name to the many cruise liners that have rescued sailors, yachtsman and even refugees. The ship was sailing between Gibraltar and Barcelona when "the shipboard team heard crew members from two other vessels talking on the radio about sighting a boat and then losing a visual of it" according to Disney. The ship then joined the search and on finding the powerless boat the 18 stranded Algerians were rescued. The sailors were given cabins and meals and were to be handed over to the care of local authorities in Barcelona once the ship docked in the Spanish city. The P&O Ventura came to the aid of an injured yachtsman back in 2008, after receiving his mayday call and the Norwegian Dawn once rescued two sailors in one day. One of the more dramatic rescues happened in 2009 when the Carnival Glory made a three hour detour to rescue nine Cuban Refugees.